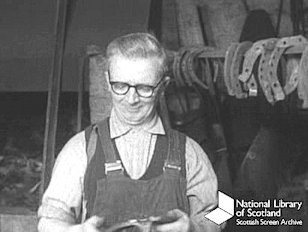 This material shows some interesting short film extracts from the Scottish Screen Archive. Many people are still around who will remember the scenes in these films and some of you may even recognise the people in them. Coming from George Street in Bonhill I was particularly interested in the one of Arthur Millar shoeing a dray horse in his smiddy "Doon the Burn". I well remember watching this process as a boy. We shall possibly develop this page as a source of Vale of Leven video material should enough of it become available so if you have anything suitable please get in touch. Shots of a gyro boat landing on Loch lomond in 1959. 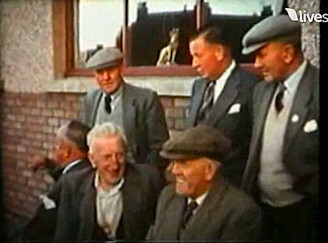 Bowling at Vale of Leven Bowling Club: I came across some interesting film of bowlers on the Vale BC. It includes the opening of the green and several scenes of bowling action. The quality is not great but older members should see a few faces that they recognise in the close ups. Is that big Sid Pack wandering up the green? has long since been cut doon". Search this site with results opening in new window. You may freely link to this page or any other page on this website but copying or framing of material without our written consent is prohibited Contact us if you require any clarification on this.